PDF files are used for multiple purposes, but there is a small problem, they can't be modified! Even though you can always resort to an application like First PDF to try to convert their contents to a format that can be edited. 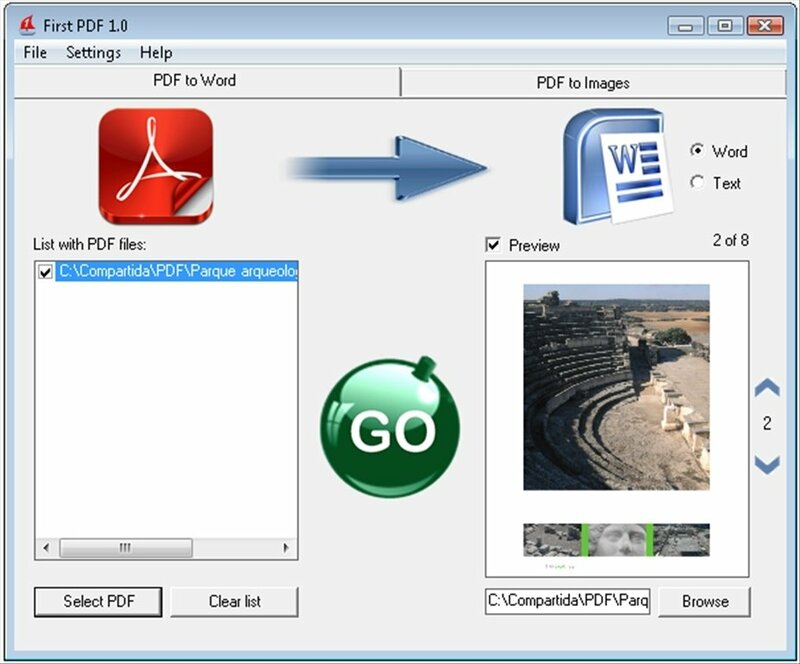 The first thing that stands out about this software is that it allows the user to choose between the format that he/she wants to output the PDF file in, a text file (DOC or TXT) or image, depending on his/her needs. The conversion of files to DOC documents can maintain the fonts used, the paragraph jumps, the tables and even the colored writing. Additionally, it preserves the position of any image in almost the same location as the original PDF file. With regard to images, it converts each page of the PDF document into a different image offering the possibility to use PNG, JPEG, GIF, BMP or TIFF format and to establish the Dpi of each image. 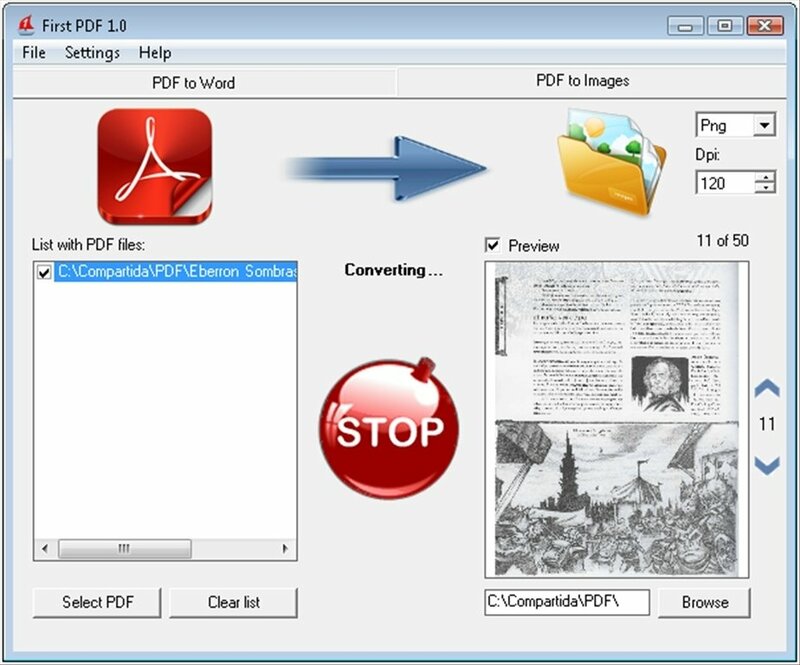 You'll be able to convert all your text PDF files to a format that is easier to edit.